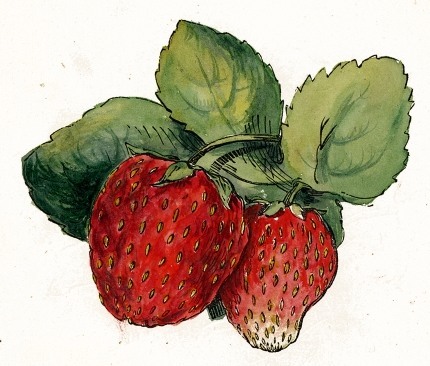 Striking public domain strawberry drawing. This strawberry image even features one fully ripe strawberry and one not quite white with a white tip. Anyone needing a free strawberry drawing has definitely come to the right place.